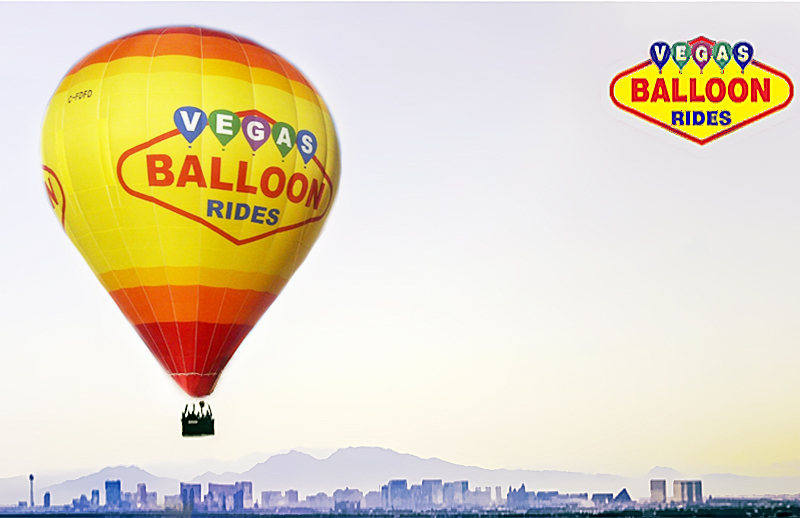 Take a hot air balloon ride and go floating into the beautiful Las Vegas Skies! Everything looks better from the top, and this is your opportunity to take a look to the city of Las Vegas from high above the sky! The Hot Air Balloon ride in Las Vegas it’s an adventure on its own and a must do by all means. Rise in the balloon just as the sun comes up in a very gentle and peaceful atmosphere. Spend one hour of flying time soaring over Red Rock Canyon, the surrounding neighborhoods, and the desert landscape, the city’s urban area and see stunning views of the Las Vegas strip like you never imagined! The views were breathtaking… this is a totally amazing experience and it should be on your bucket list! Flights are approximately one hour in length. Some flights can vary from 45 minutes to 1 1/2 hours depending on the amount of fuel on board, the passengers’ combined weight, the temperature of the air and when the pilot finds a suitable landing field. Enjoy pickup at selected hotels on the Las Vegas Strip, or make your way to the balloon launch site, a 20-minute drive from the Strip. After an hour-long flight filled with spectacular views and tranquility, your pilot will guide the balloon gently back toward earth. When you touch down, enjoy a picnic with light appetizers and a Champagne toast. Between December and February, take advantage of a sunset departure option to see the sun sink over the horizon and the Strip’s famous neon light up the night. The balloon pilots are licensed and extremely experienced so you can just enjoy a ride and a great tour you would never forget. Ballooning is a weather dependent sport and we must only fly when the conditions are safe. We require light winds, good visibility, no rain and no storms in the area. If the weather is not safe, the pilot will cancel the flight and you can simply reschedule for another date that suits you. This entry was posted in Rides and tagged Guided Tours, Rides.